On May 25, the third film in the original Star Wars trilogy, "Return of the Jedi," will turn 30 years old. To celebrate, HuffPost Entertainment is publishing this exclusive excerpt from J.W. Rinzler's excellent "The Making of Star Wars: Return of the Jedi," due to be released on October 1. Die-hard "Star Wars" fans should appreciate this transcript of a July 1981 story conference for the franchise's third installment, then titled "Revenge of the Jedi." In attendance were series creator George Lucas, writer Lawrence Kasdan, director Richard Marquand and producer Howard Kazanjian. To give the others a better idea of who Darth Vader is, George Lucas maps out the character's pre-Dark Side life as Anakin Skywalker. Lucas' words here, in 1981, offer a startlingly accurate preview of what would eventually become the "Star Wars" prequels, released between 1999 and 2005. And yet there are notable exceptions, as well. For instance, Lucas compares The Force to yoga and says anyone can use it, which seems to conflict with what we learned about midi-chlorians in "The Phantom Menace." And he's adamant that Yoda does not fight -- an opinion he clearly revised sometime before 2002's "Attack of the Clones." 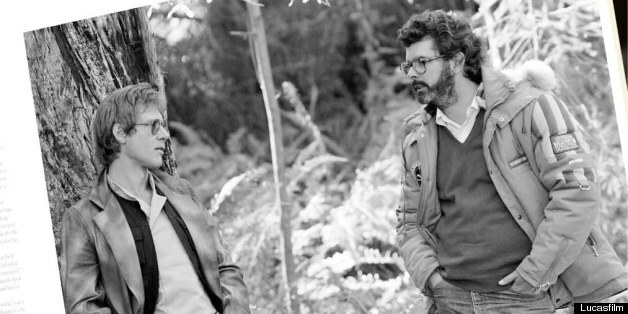 Excerpted from THE MAKING OF STAR WARS: RETURN OF THE JEDI by J.W. Rinzler. Copyright © 2013 by Lucasfilm Ltd. Excerpted by permission of Del Rey/LucasBooks, a division of Random House, Inc. All rights reserved. No part of this excerpt may be reproduced or reprinted without permission in writing from the publisher.